A year ago, uncertainty surrounded the Florida football program. In his regular Monday game week press conference, Jim McElwain made comments about players and coaches receiving “death threats” related to UF’s poor play. When he failed to provide proof to his superiors in the athletic department, the wheels began to turn on negotiating McElwain’s buyout with the possibility of firing him for cause on the table. 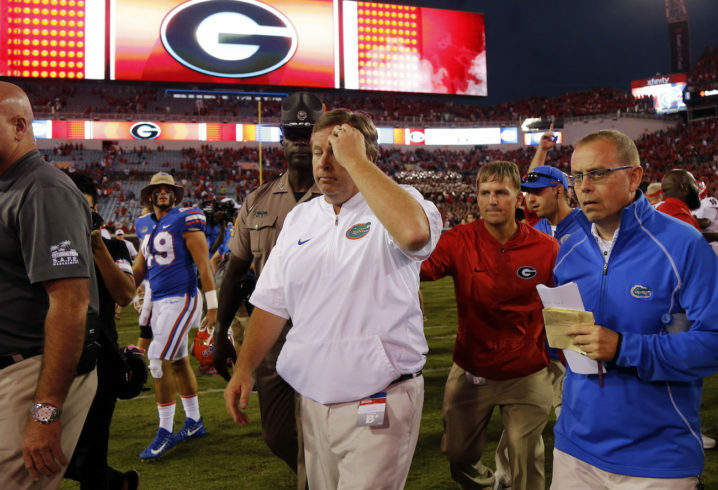 As it turned out, McElwain would coach the Florida-Georgia game despite the uncertainty surrounding his future with the team. 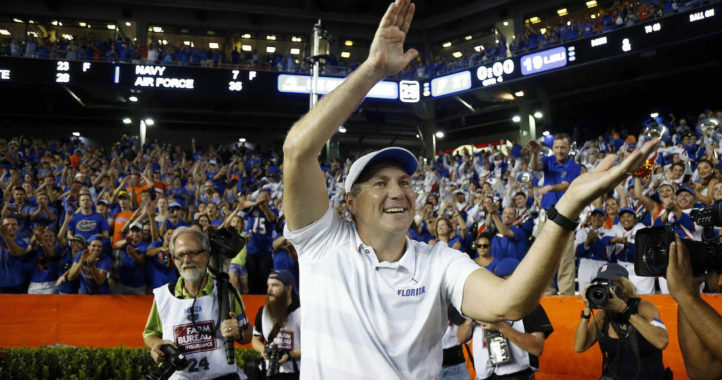 The Friday before the game, multiple reports suggested it would be his last game as coach of the Gators regardless of the outcome on the field. 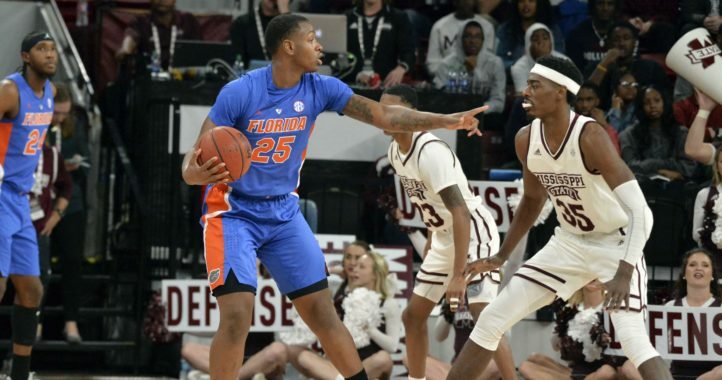 Needless to say, the uncertainty on McElwain’s future was a massive distraction to the team which was somehow expected to practice as normal to face a Georgia squad that would go on to win the SEC and play for the College Football Playoff championship. Monday, Florida LB Rayshad Jackson shared some insight into how the team handled everything that week. On the day of the Georgia game, McElwain managed to make things worse, according to Jackson, when he spoke to the team before the pre-game meal. Georgia won the game 42-7. If the thrill of playing one of your biggest rivals on national tv, at a point before the wheels truly came off the program in 2017, isn’t enough to motivate you than there are bigger problems at hand. I doubt the fumbling words of McElwain had any material impact on the game. There were bigger problems. McElwain was an inept headcoach. Let Smart tell the team in the pregame meal that he’s probably going to be fired and see what kind’ve effect it has on the players mentally in that game. I’m sorry, but these aren’t professional players getting paid millions of dollars. These are kids who loved this coach enough to commit to play for him, who also happened to be dealing with a lot of other issues that season. It’s easy to sit on your couch and claim they should be able to put everything aside and focus on the game, but sorry that’s just not realistic.